With Blink Hub mode, Net link indicator, Flash LED light, Signal strength and Low battery indicators, Adjustable volume, Replaceable tip, RJ45 jack, Earphone jack and Lanyard. 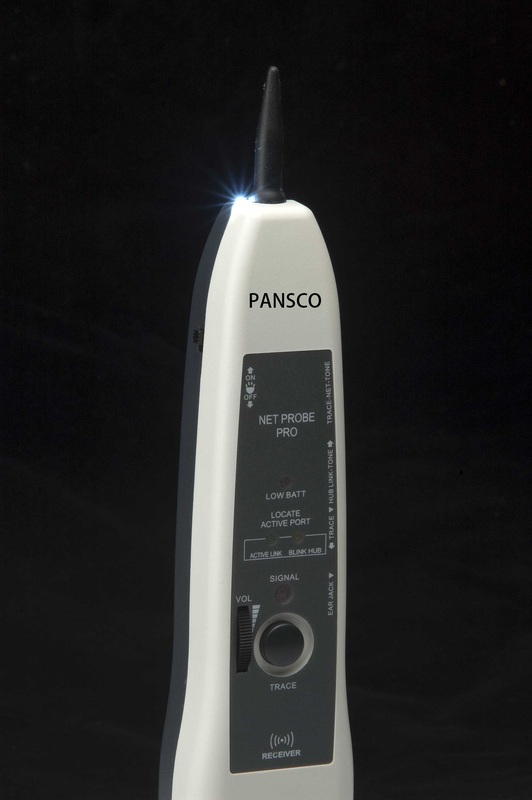 The one-in-all Net Probe Pro combines Blink Hub, Net link, Flash LED light and Trace tone functions. For identify active Network connection and confirm the end of a cable connect to a Network device or an open link. When for use with tone generator to identify, locate and trace wires, cables within a bundle, outlet or patch panel. Today’s network environment cable typically are terminated end in HUB or Switch ports. 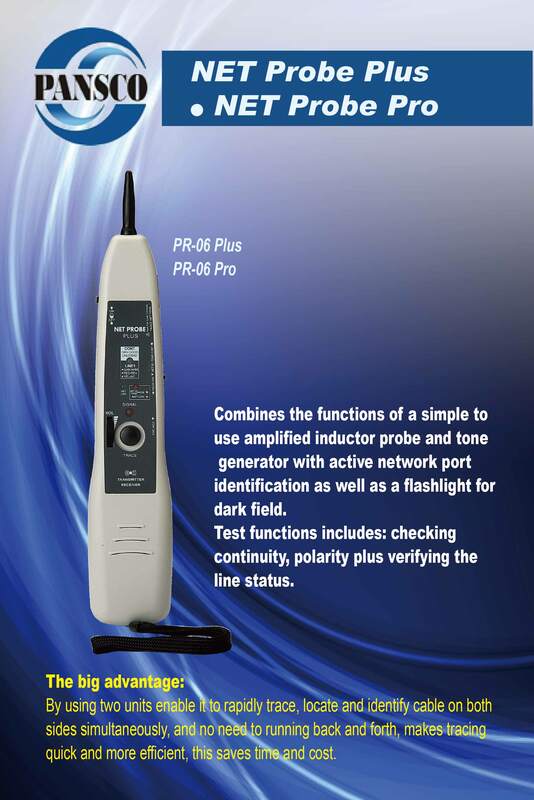 The PR-06 Pro incorporates a blink HUB and a Net link status functions for identifying the termination point of cable on the active network device and quickly confirm the status of an active network. 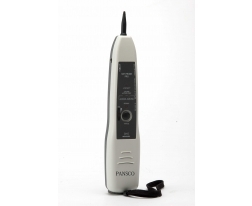 Flash LED light can help to trace cable in dark field. The PR-06 Pro is compatible with most tone generators on the market. To identify and trace wires and cables within a bundle and a patch panel. It also includes RJ45 jack, signal strength indicator, adjustable volume control, headset jack, battery low indicator, lanyard and replaceable tip. An ideal tool for installation, service and repair. Blink HUB mode to locate cable on active network, when terminated at HUB / Switch. Effectively traces and locates wiring and cable within bundle or patch panel. Net link LED shows you and confirms the end of a cable connect to an active network device. Flash LED light can help you to find the target in dark field. Comes with adjustable volume, earphone jack, RJ45 jack, lanyard and replaceable tip. With signal strength and low battery indicator. Headset jack accept a 2.5mm earphone to listen the tone in noisy environment. 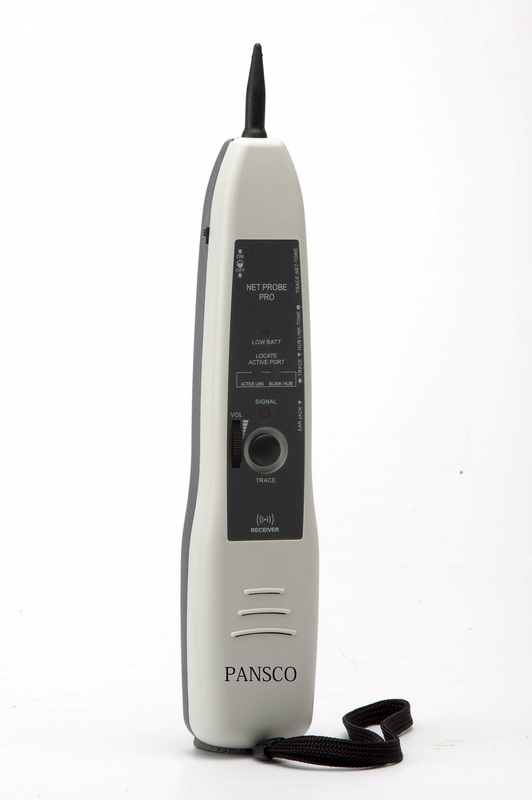 Toning, Tracing, blink Hub port light, active Ethernet port detection and identification, LED flashlight.